If I had to bet on a song that every Dartmouth student knows, I would pick “Mr. Brightside” by The Killers. What they may not know, however, is that “Mr. Brightside” came out over a decade ago in 2004. Along with “Human” and perhaps “Somebody Told Me,” it seems like people are more than happy to sing along to the Killers’ old songs, which means that either the music is really good or that the band has not followed up with anything better. With The Killers, it may be a little bit of both, but their new album “Wonderful Wonderful” stands to change that and hopefully give their fans some new songs to enjoy. The album was released in September and is comprised of 13 tracks clocking in at 54 minutes total. The standout track on the album is certainly, without a doubt, “Run for Cover,” which manages to invoke some of the old Killers’ style that made them so popular without feeling derivative. Starting with a dynamic guitar that powers the entire track, “Run for Cover” manages to ground the album in the iconic Killers’ sound and helps listeners remember why the band has stayed relevant over the last two decades. Surprisingly, though, “Run For Cover” is a fairly isolated sound — however good it may be ­— on the album’s setlist. Most of the songs are a departure from the typical Killers’ pop style which has served them so well over the last two decades. “Wonderful Wonderful” is unafraid to change the tempo on its listeners, as well: “Some Kind of Love,” track seven, is slow and airy, providing a pleasant respite from an otherwise very energetic album. “Life to Come” is an ever-so-slightly updated iteration of the pop hit sound that made The Killers famous, but in the context of “Wonderful Wonderful,” sounds crisp and well-placed. “The Calling” is a completely new type of music from the band, which seems much more indie and less classically alternative, showing that the band is still ready to experiment with style. The remixes at the end of the album, both new versions of “The Man,” are interesting in their own right. Initially, they seemed misplaced — completely out of touch with the alternative-rock sound of both the album and The Killers’ as a group. However, when taken as separate from the album as a whole, the two songs inject a bit of fun and playfulness in an album that does at times become somber. 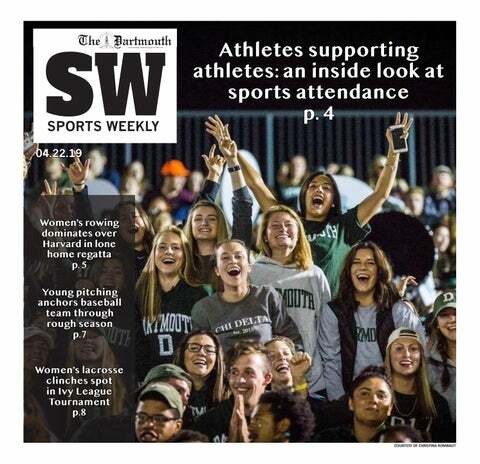 Overall, the album is a fantastic return to stardom for the band and stands to provide an updated suite of hits for their fans to sing along to — Dartmouth students included. “Wonderful Wonderful” may be a transitional and slightly experimental album, but it deserves a listen.